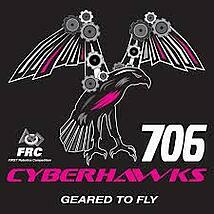 R&R Insurance is proud to congratulate the Arrowhead High School Robotics Team, Cyberhawks Team 706, on their win at the 2017 FIRST Robotics Wisconsin Regional competition. The Cyberhawks took home the Industrial Safety Award for the 2nd consecutive year. Sponsored by Underwriters Laboratories (UL), this award recognizes a team that progresses beyond safety fundamentals by using innovative ways to eliminate or protect against hazards. The UL Safety Advisors focus on the combination of individual and team safety behaviors and safe physical conditions, along with safety outreach to other teams. By winning this award over the 53 other teams, the Cyberhawks demonstrated continued safe practices in all aspects of the team operation. R&R’s own Scott Brookes acts one of Arrowhead's Lead Robotics Advisors. Scott was recruited by his son two years ago, who saw the need for a Team Safety Advisor. Scott's background in engineering and his experience in the insurance industry enable him to bring safety education and risk management training to the robotics environment. Together, the Cyberhawks are working to become an OSHA compliant organization. With the help of R&R and Community Insurance Corporation (CIC), Scott educated the Cyberhawks on top ten OSHA industry losses. They identified which of the OSHA industry losses applied to the industrial machine shop setting in which the team works. The Cyberhawks studied information from R&R's Risk Management Center (RMC), which provides detailed training on relevant safety concepts. In addition, Scott implemented training processes for common cause of loss, including Slip Trip & Fall, fall from height, machine usage and guarding, auto fleet safety, lifting/bending, and PPE usage. All of these training techniques educated the team to properly implement and act out correct safety procedures. R&R uses a very similar approach with businesses when implementing safety procedures. The process of safety training and utilization of resources, such as the RMC, are used to educate employees to enhance the safety culture of their organization.